Do you know what tax credits are, how they work, and how they can affect your portfolio? Tax credits provide incentives to investors to keep doing what they do. It will stimulate the economy and revitalize neighborhoods, both wonderful things for any community. 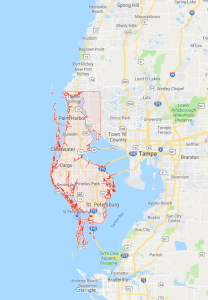 Between deductions and the tax credits, we will discuss below, real estate investors in Pinellas County will be able to save a bundle on their taxes this coming year. If you don’t know about tax credits and how they work, check out our tips below. Then give your financial planner or CPA a call to learn more about how these tax credits can affect you and your business. Many renovations made to the home will allow for a tax credit. Properties purchased that were built prior to 1936 will receive a 10% tax credit to help the buyer offset renovation costs. Green energy offers many tax credits as well. As a Pinellas County investor, you can receive the Residential Energy Tax Credit for things like solar energy, energy efficient appliances, and small wind energy devices. Going green not only helps the environment, but it can lower your bills and tax liability as well! Property investors in the Pinellas County area can receive a tax credit depending on what neighborhood they choose to buy their property. When investors put their money into properties in low-income areas, they can see a tax credit of up to 39% of what they put into the property. This tax credit encourages the renewal of run-down neighborhoods and hopes to incentivize the rebuilding of a run-down community. While many people will avoid purchasing in a low-income area, it is also the chance to invest in a highly appreciating, and expanding part of town. Getting such a high tax credit for the purchase can help you to keep your profits from the property in our pocket. As a Pinellas County real estate investor, tax credits can be tricky business. 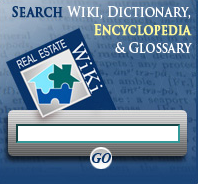 To fully understand them and how they work, consult a CPA who specializes in working with real estate investors. They will help you find and maximize the deductions and tax credits available to you. Not knowing what’s available to you can cost you a fortune over the long-term. Don’t leave money on the table! Educate yourself about the ever-changing tax code and how the rules will affect you and your business.